A former GMA broadcaster, Jay Sonza relays on a Facebook post that President Rodrigo Roa Duterte’s humble request to local rice traders of the Philippines. 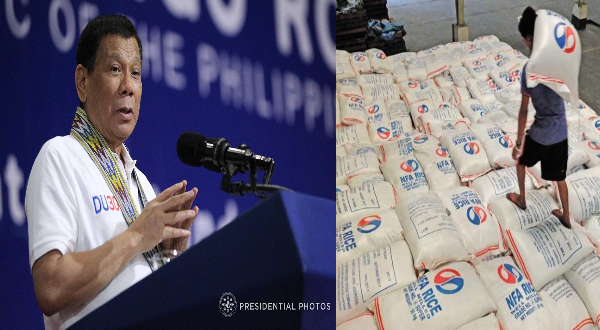 It was just a simple and incredibly humble request, to all he did was ask if the rice traders can reduce the price of rice down to something more affordable since the prices have been reasonably huge for quite a while. Now despite the rice trader’s loss in income, they opted to do so, why? Well first of all, since when does a President humbly ask the people favors without needing to reinforce them with the law? And since when did a President brought so much for the people since the time of Marcos? After that request, the rice traders state that as long as it’s Duterte who asks the favour, they will make it possible. Now the once Php. 52.00 per kilo of rice turned into Php. 39.00 per kilo, a huge discount that will help the masses in such a time of need. One of the netizens on Facebook stated that, luckily, Bam Aquino hasn’t taken credit for finding a way to decrease the price of rice for the Filipino masses. He then jokingly stated that Bam Aquino has a Bachelor of Arts degree in Credit Grabbing!